Balanced look at Catholic-Protestant links fails on Jewish teachings. Published 2/16/2018. Books. 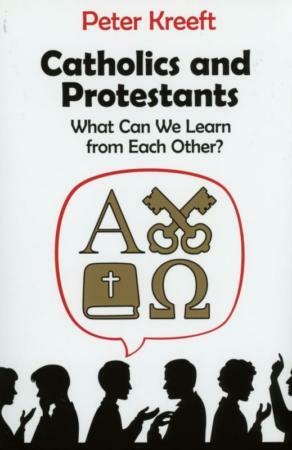 "Catholics and Protestants: What Can We Learn from Each Other" by Peter Kreeft. Ignatius Press (San Francisco, 2017). 204 pp., $16.95. Peter Kreeft is professor of philosophy at Boston College. He has written numerous books on a popular level about Catholic theological issues and thinkers, including Augustine, Aquinas and Pascal. Here he looks into the important beliefs that Catholics and Protestants share, and how their differences can be reconciled as part of the ecumenical dialogue toward Christian unity. Delving into the Bible and Catholic tradition, he argues that Christian reunification is possible and, indeed, likely to happen if Protestants and Catholics probe deeply enough into their own traditions and listen deeply to each other. The book is written in short chapters, making it easy to read. 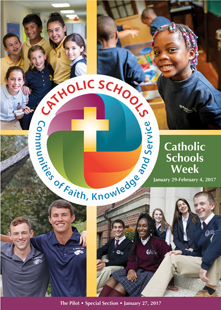 While there remain differences between Protestants and Catholics, the central belief in justification by faith is shared by both, even if stated in differing ways. Toward the end of the book Kreeft goes into some detail on how Catholics and Protestants understand Mary, the church and the Bible, and how our divergent ways of speaking and understanding these can be reconciled for the sake of the unity of the church. Kreeft presents the stereotypes and caricatures we Catholics and Protestants tend to have of each others' beliefs and practices. He interlaces his discussion with parables, "comic relief" and metaphors. The plant metaphor, first used by St. Paul in Romans 9-11, sees Jesus Christ as the one root of the Christian community/church, with many branches -- Catholic, Protestant and Orthodox. This indeed is a helpful image, though it might be noted that Kreeft seldom speaks of or takes into account the major branch of Christianity that is Orthodoxy and the ecumenical possibilities of Catholic-Orthodox dialogue. The book is written from a Catholic point of view, speaking often of Protestants "coming home" to the one, fully true church, the Catholic Church. It could have been greatly improved if it had been co-written with a Protestant author, to ensure that the Protestant viewpoint was fully presented, though Kreeft in most instances does a credible job of presenting the Protestant side. In a chapter toward the end and in various passages throughout the book the author takes up "ecumenism and world religions." Unfortunately, he seems to equate ecumenism with interreligious dialogue, though there are substantial differences between the two. He notes in one place that from a Catholic theological point of view, Judaism is "unique," founded as it is upon the divine word in the Hebrew Scriptures, but he generally presents Judaism as just one more world religion among the many, a view that St. John Paul II specifically rejected. He also takes up Jesus' debates with "the Pharisees" and "the Sadducees" in a way evocative of the ancient Christian teaching of contempt against Jews and Judaism, a polemic officially denounced by the Second Vatican Council. Jews, for example, can only be "completed" Jews if they convert to Catholicism. I recommend this book as a readable introduction to ecumenism, but not with regard to Catholic-Jewish dialogue.